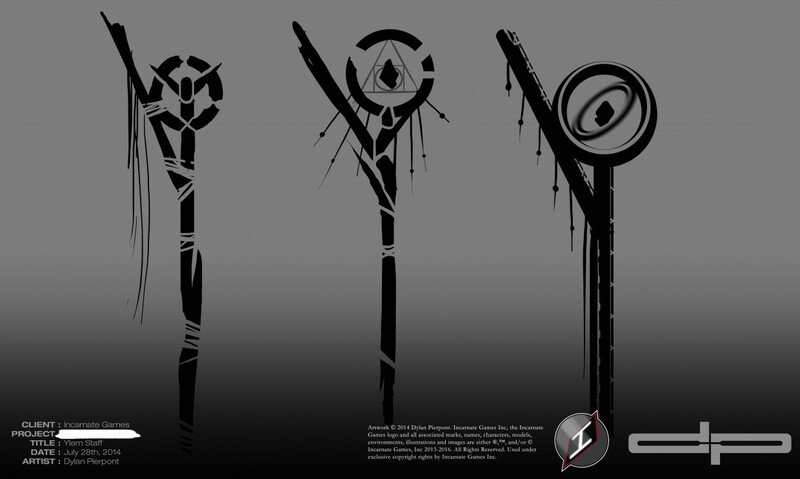 This episode shows in a gallery the silhouette concepts for High King Apsu’s Ylem Staff and possible crowns. There was a large amount of discussion posts for these, most of which consisted of Jason elaborating on his choices for Apsu. Since Apsu is a highly significant factor in the project, we wanted to make sure everything was covered. But the most glaring significance to this symbol as it pertains to Apsu is this: in the front of crown number 3, we can see that the triangle in the front of this crown has a very powerful resemblance to the upper half of the philosopher’s stone symbol, representing the spiritual world. 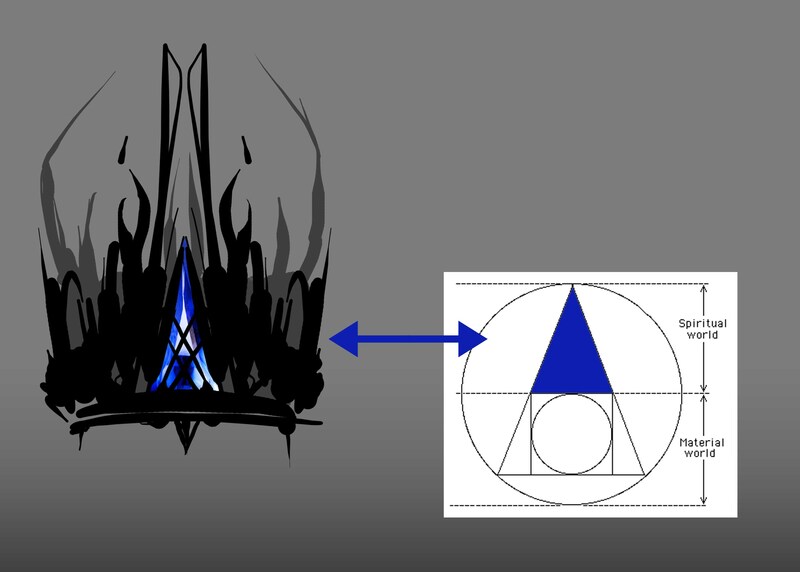 I would like for us to make the proper adjustment to the geometry of this triangle in the crown to match the angles of the classical symbol as best we can.Which brings me to part 2. I think it would be even more awesome then, if we had a gemstone of Ylem socketed into this space giving Apsu’s diadem an undeniably distinctive look. See attached image.Which brings me to the staff! And, ironically, there are some more symbolic finds! I spent a good portion of my afternoon preparing this next one.I will post the images and information regarding the staff in the next post. Now, on to the staff. As excited as I am about the crown, I think I like this even more. First off, the middle staff in the tonals is easily my favorite. The way that the straps are flowing off of it and the way its tied together is really cool. So what I would like for us to do is transfer those straps and that flowing pieces that are hanging off of it to the to staff #2 from the Ylem Staff image. 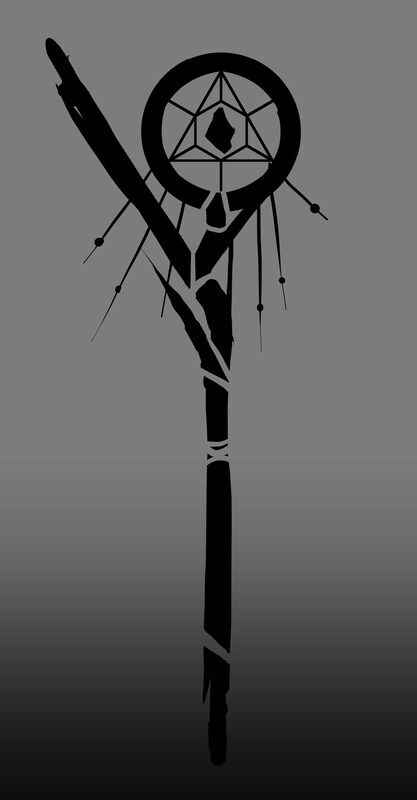 The reason for this is that the Ylem Glyph that Anthony made has drawn inspiration from staff design #2. If you look at the glyph you will notice that it makes an elbow notch in the same way that the staff does. However, we need not incorporate the other tree limb elements from the glyph onto the staff; the composition of the #2 staff concept is strong as it stands now. However there is one issue that I believe I resolved with the #2 staff today. So, as you recall I requested that we place the philosophers stone symbol in the center. 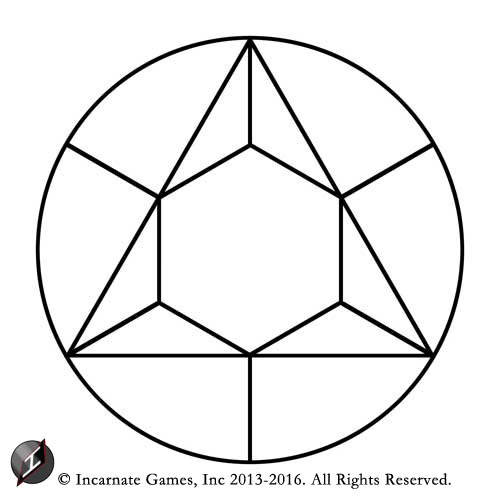 This does not really evoke the same amount of universal symmetry that the symbol you made in the middle of the staff from Tonals staff #2. I have developed a compromise. So there is this symbol I made that I’ve been sitting on for some time now, and I think now is the best opportunity to take advantage of it. 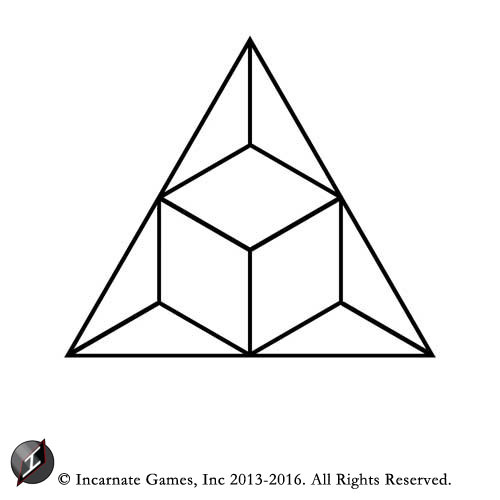 In the first attached image you will see the symbol I made. 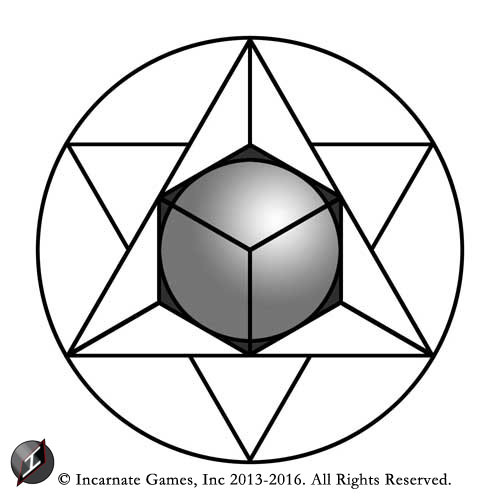 Ironically it is very evocative of the philosopher stone symbol, were the square in the middle a cube. Long story short you will see through the progression of the images that we can take advantage of the hexagon shape that a cube makes to still be representative of the philosopher stone symbology, while at the same time, giving the Ylem staff nearly the exact same symmetry that you originally created in the staff from Tonals #2. I also threw in this fun little render I made showing the symbol in 3 dimensions, although technically this render is a lie knowing that the triangle in the symbol is actually a tetrahedron, not a pyramid (and in essence is an impossible shape). Also you’ll find the look of the staff I edited with this new symbol in the middle, I will leave the decision to you whether or not you think that the philosophers stone should be shaped more like a sphere or more as a asymmetric stone. 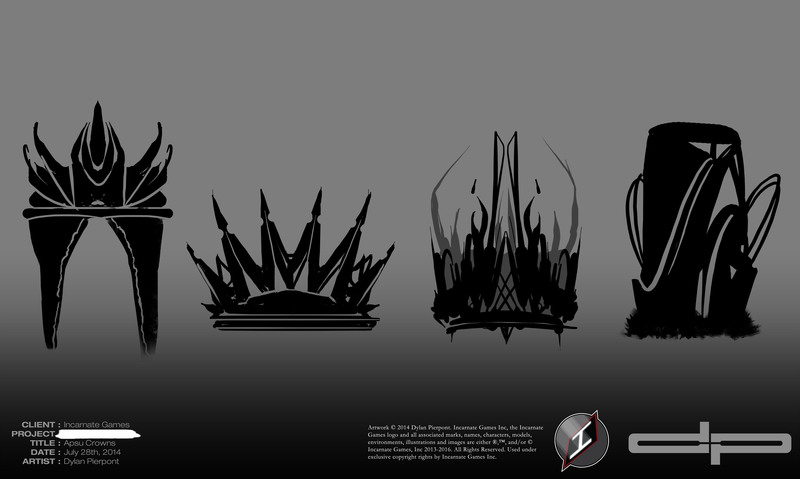 Now, with all that out of the way I will post the listing of all the design choices for Apsu the same way I did for the other kings in the following hours; no later than tomorrow afternoon. Stay tuned for EPISODE # 010: Revenant Concepts 2 which will be posted soon!